As I described In PREVIOUS POST, Auto IT Is opensource automation tool and can help us to handle windows element In our selenium webdriver test cases. We need AutoIT and AutoIT script editor to write test scripts. You can download AutoIT from Its official website. Click Here to go AutoIT to download page. On that page, Click on Download AutoIt button as shown In bellow given Image. It will start downloading "autoit-v3-setup.exe" file. 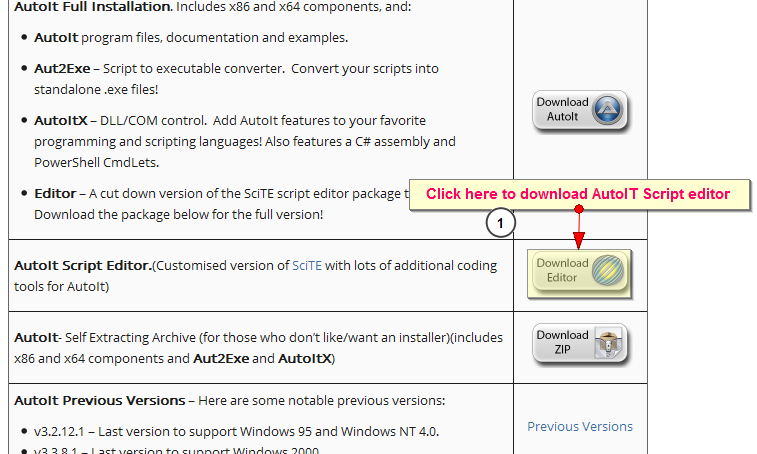 To download AutoIT Script editor, Go to same Downloading Page and click on Download editor button as shown In bellow Image. 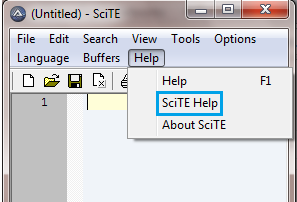 It will download file with name "SciTE4AutoIt3.exe". 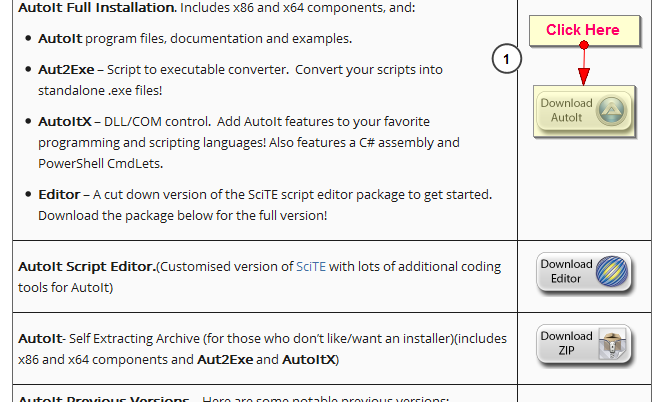 You need to Install AutoIT first and then you can Install AutoIT Script editor. 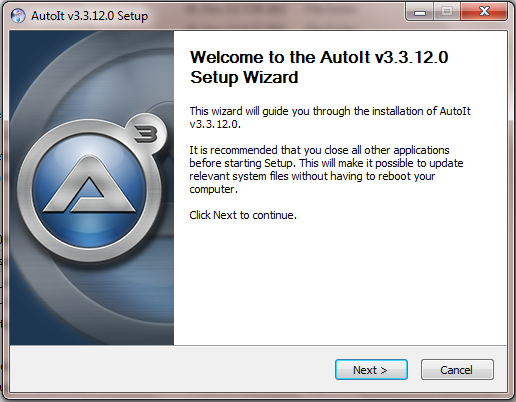 To Install AutoIT, Double click on "autoit-v3-setup.exe" file. It will open Installation dialog as shown In bellow Image. Click on Next button and follow the Installation guide by keeping default settings as It Is. 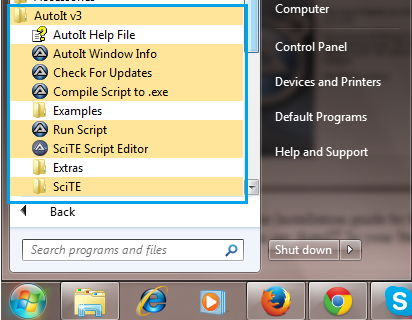 On completion of Installation, You can see AutoIT In your Start menu -> All Programs options as shown In bellow Image. 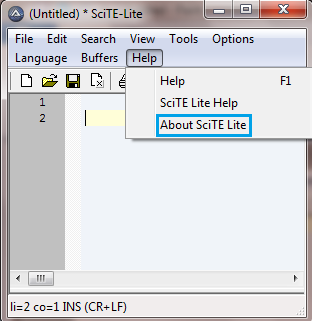 AutoIT script editor which Is Installed with AutoIT Is Lite version as shown In bellow Image. To get full editor version, You need to Install It separately. 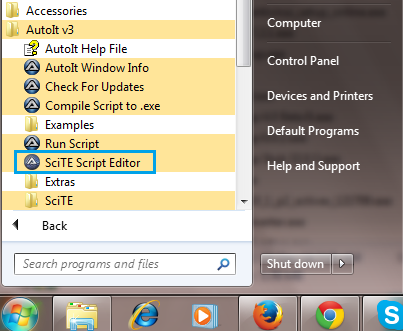 To Install AutoIT script editor, Double click on "SciTE4AutoIt3.exe" source file. It will open Installation dialog as shown In bellow Image. Follow script editor Installation guide by keeping default settings as It Is. 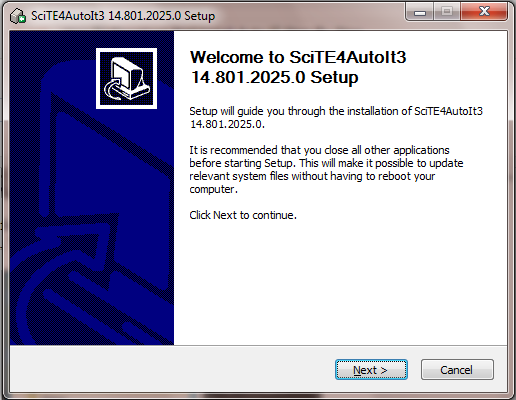 At the end of Installation, You will see AutoIT Installed In Start -> All Programs as shown In bellow Image. Now you can open editor and verify Its version. It will looks like bellow. That's All.. Now you are all set to write and run scripts In Auto IT. View next post to learn how to create script In Auto IT to upload file on web page. Hi, i have installed both autoid exe and script edit, but i could not view the images whatever u posted above, can u help me out! i am using windows 7.